It has been so easy and great working with you again. Not only are we thrilled with all the effort you have done to get our house sold (and at our price), and the answering of all the questions we’ve had, but I love that I’ve never had to hesitate to pose my concerns at the risk of feeling like I’m bugging you. You have been so open and understanding of our concerns. Selling our first home, the place where we had our wedding reception, our two babies- really where we started our family, could have been stressful and anxiety ridden and emotional but working with you has made is SO much more comfortable for us. Particularly at this moment in time- closing just three weeks after the birth of our son! We are so glad that we called on you to list it for us. And it feels only right since you helped us to buy it in the first place. 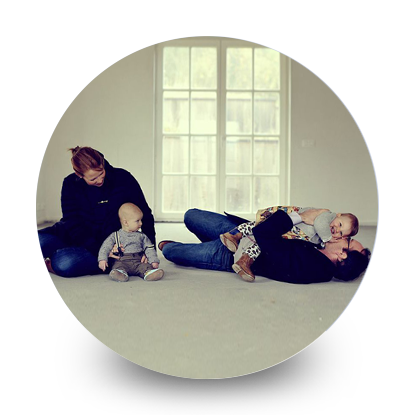 My husband and I actually met Heidi while she was in the process of representing another home we were looking at. Even though at the time we were at the open house we did not have existing representation, that was by design because we were coming off of the worst possible attempted home purchase transaction. Prior to working with Heidi, we chose to work with an agent at a, suffice it to say, less than full service brokerage, and we had a transaction fall through even after the release of certain contingencies. To put it simply, we were devastated as a family. When we met Heidi, something instantly felt different. Every other agent that we met with casually or by appointment seemed to have the same demeanor and inability to understand the sensitivity of the situation we had just experienced. With Heidi, we felt a connection right away, though. She empathized with what we had been through and suggested ways the previous transaction could have gone differently - suggestions we never heard from our prior agent - and also helped introduce us to trusted partners of her that would eventually be of assistance in our successful transaction with Heidi. When we finally made the decision to work with Heidi and begin seeing listings with her, it was less like we were using a home buying agent and more like we were going to drive through neighborhoods with a friend or family member. She did not pressure us or hassle us to make a decision when we were unsure; rather, she provided guidance and insight on the construction of old homes and how rapidly LA’s neighborhoods can vary from block to block. 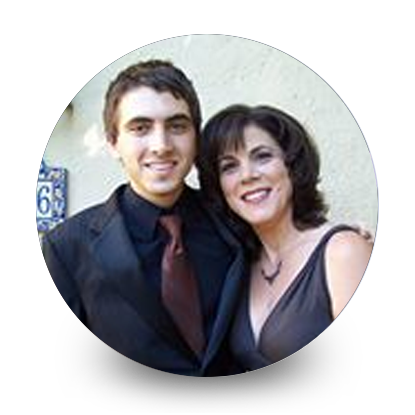 Once we settled on a home, Heidi shepherded the escrow process seamlessly for us. She worked as referee between all the important third parties, including escrow and financing, to ensure that we were always on schedule if not ahead of schedule. We are truly pleased to have worked with Heidi and appreciate that she continued to work with us as clients long past the (early!) closing of our escrow. We look forward to our next purchase transaction with Heidi Davis. Let me start of this review by giving Heidi Davis my highest recommendation. Heidi helped us find our dream home in Westwood. We had been looking for a little over a year in a few neighborhoods and Heidi was always very patient and informative. She never exerted any pressure on us and she always wanted to make sure we were completely happy with our choice. The house required a lot of renovations and Heidi was extremely helpful assisting us in finding the right contractors and subs to explore upgrades. She was amazing all the way through the process and was integral in helping us get financing as well. Heidi Davis helped me sell my Brookside home and purchase a townhouse in the Hollywood Hills. She was always prepared and professional, but also warm and empathic. Selling a family home of many years comes with mixed emotions and concerns and Heidi was always willing to address them with me. She is a calming force—nothing ruffles her feathers and she is a realistic problem solver and excellent negotiator. She was exceptionally knowledgeable about properties in the area and beyond. I never mentioned a property she did not know. It was amazing. She knew history, costs, upgrades, comps—she obviously loves what she does. Very quickly she assessed my tastes and my needs. She never took me on pointless showings. We looked for some time. I guess I’m picky. I never felt pressure to make a decision or impatience from her. She’d always tell me to take my time and that together we would find the right place. Again, her calm and even manner helped me when I’d get overwhelmed. And we did find the perfect place for me at this time in my life—a vintage, but remodeled townhouse with less maintenance and less rooms to clean, air-condition and heat…at the right price. She made the paperwork easy too. Honestly, all those pages of legalize made me anxious. Heidi went over every documents with me at my dining room table. I could ask questions and get answers I could understand. I also signed many of the formal documents on-line through docu-sign. It made things so much easier, faster and less complex. The escrow company that Heidi suggested was friendly, accessible and fast. She suggested a stager who did such a good job, I’ve hired him to design and decorate my new property. Heidi puts a 100% into the job, but she never appears harried or too busy to care. I felt in good, competent, experienced hands throughout the process. I hope I don’t move in the near future, but If I do, I’ll call Heidi again…in a minute.